Editor’s note: The following letter is worth reading. By a Cornell professor. He puts his finger on the blatant lies of corporations, denying the harm caused by their products or activities—be the product Agent Orange or the hideous procedure known as “hydro-fracking” (“fracking”) for natural gas. 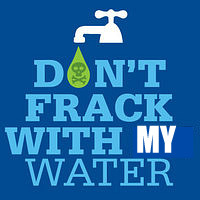 Everyone with brains and a conscience and a modicum of logic should be absolutely outraged over “fracking”! Professor Sawyer has written about it in the Cornell University Daily Sun because “fracking,” folks, is coming to Ithaca, NY. Lastly, get on Google and find a map of the Marcellus Shale, beneath the Appalachians and even beyond. This is where they’re drilling down into. Now find a map for the Utica Shale, beneath the Marcellus and bigger yet. They’re going after this, as well. Now go turn on your kitchen faucet and kiss your safe water goodbye. The narrative you are about to read, below, could be applied almost verbatim to Big Wind’s mendacity. To Big Wind’s so-called reports and studies about health effects from wind turbines. Just as Professor Sawyer suggests that people scrutinize the credentials of the so-called experts vouching for Big Fracking, I urge you to check carefully into the credentials and connections of Big Wind’s scientists—the physicians and physicists and acousticians. You will be unpleasantly surprised. How would it feel if, every time a person checked your driving speed, they saw two odometers that said opposite things, one of which was created deliberately to confuse them and risk their life? That’s like the situation faced by the American public today in regards to news on the environment, including the debate over hydrofracking. 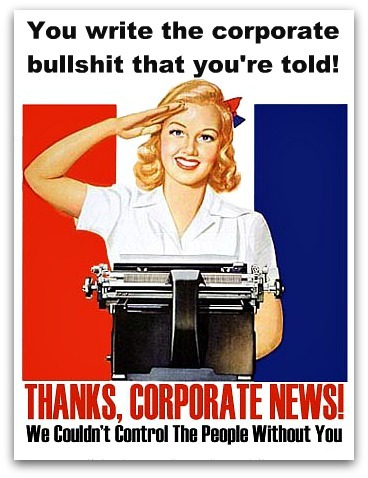 The corporate disinformation machine has become so ubiquitous that virtually any news item on environmental risks produces an attack by an industry front group. Fortunately, some readers will know that the American Chamber of Congress advocates for controversial industrial projects like the pipeline, and they’ll know that every word of the blog will be false or misleading. Still, The Sun felt obligated to include ChamberPost as a legitimate source of opinion — which is a mark of the disinformation campaign’s success. If true, this would be extraordinary news for Ithaca residents and for Cornell, which has the right to lease up to 11,000 acres to oil and gas drilling. But it’s not true. As for the single case of contamination, another letter on the same page correctly points out that property owners have to sign non-disclosure statements before leasing their property for fracking — so there may be many cases of contamination that cannot be legally spoken of, despite First Amendment rights. The writer also ignores research by Cornell scientists Anthony Ingraffea and Robert Howarth, which points to the catastrophic effects of methane gas release into the atmosphere — a virtually inevitable result of hydraulic fracturing. As for returning us to the days of the cave man, solar and wind power may, in the opinion of many independent researcher, be the only safe option. In short, the letter reads like standard corporate-funded blarney. But here’s the twist: the author was Dr. Gilbert Ross ’68, Medical Director of The American Council on Science and Health. A Cornellian, a doctor and a group with “science” and “health” in the name: surely an unimpeachable source. So what is ACSH? When it was founded in 1978, the president described the Center as a non-profit, pro-consumer organization doing independent research on issues of public health. Oddly, all the Center’s “scientific” work arrived at conclusions counter to those of all other consumer advocacy groups and to the prevailing scientific consensus on topics related to public health. For example, its reports denied any link between high cholesterol levels and risk of heart attack (meaning you can eat as much junk food and sugar-enriched food as you like without worry); its report on cancer rates exonerated chemicals in the environment as a possible factor in the disease; its report on air pollution found that current levels pose no threat to health and that existing air quality controls are unnecessarily stringent; its report on 2,4,5-T (a component of Agent Orange) denied there was evidence of “any convincing relationship between the traditional use” of the herbicide “and adverse health effects in humans.” And much more. Curious about findings like these, the well-respected Center for Science in the Public Interest reviewed the research of ACSH; its 70-page report, “Voodoo Science, Twisted Consumerism” (1992) found that the reports were seriously flawed (in some cases “shocking” and “stunning” in their omissions and errors) and that the reports’ conclusions always favored the interests of the corporations that contributed to the group. These sponsors included Frito-Lay, Oscar Meyer, Hershey Foods and other producers of “junk food”; companies like Bethlehem Steel, Consolidated Edison and Texas Utilities, all of which have been cited by the EPA for air pollution violations; and of course Dow Chemical and Monsanto, which manufactured Agent Orange. Since then, the Center has become notorious for its positions (including the claim that DDT is not toxic to humans) — to the extent that The Daily Show with Jon Stewart did a send-up of its founder in 2010. The important point to grasp is that ACSH’s claims do not result from unconscious bias, or from poor judgment in its choice of sponsors, or from good intentions, or simply from shoddy work. Simply put, ACSH earns its money by lying for corporations; it has no other function. No wonder it hasn’t disclosed a list of funders since 1992. In 1991, however, the group’s list of contributors included Mobil and Shell. Its stance on fracking is therefore unsurprising. ACSH isn’t important as simply another example of corporate mendacity; it’s far more important as the symptom of a grave national crisis, one that (not to be too obvious about it) may very well determine the fate of the earth. 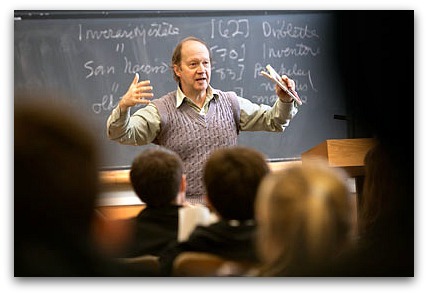 Though nobody is perfect, the only reliable way of predicting and controlling the future of our planet is through research conducted by the scientific method, independently of ideological or financial inducement — research of the sort that has made campuses like Cornell distinguished in the nation. Yet the largest effect of the corporation disinformation machine — including the politicians who are also on the payroll, like the so-called “global warming skeptics” in Congress — is to confuse the public, not just about specific issues like fracking, but about the methods and integrity of science itself. They get away with it, most importantly, by the collusion of the mainstream media. It’s an outrage that well-known prevaricators can appear over and over on TV and in editorial pages to “debate” their “points of view” side by side with credible experts and genuine consumer advocates. Yet most viewers are poorly protected from this sanctioned sabotage of crucial knowledge — which amounts to the denial of a fundamental democratic right. Article 19 of the Universal Declaration of Human Rights — the freedom of speech section — states in part: “Everyone has the right . . . to seek, receive and impart information through any media and regardless of frontiers.” It follows that citizens have the right to the most accurate and reliable knowledge available to them as citizens so that they can make informed judgments. Above all, they have the right to knowledge crucially affecting their health, safety, and well-being of themselves and their children. In short, Dr. Ross simply moved from defrauding the government of New York to defrauding the American public — legally, and for bigger bucks. When Bob Dylan sang the line “all is phony” he probably didn’t know about the American Council on Science and Health, but somehow he anticipated it. When I think about some of the lies that I have heard coming from the industrial-corporate-political-military oligarchy, I could laugh myself sick, but I could just let them do it for me. Have you heard that commercial wind turbines are no noisier that your home refrigerator? How about those old doctor claims that cigarette smoking was relaxing and good for your health? Oh, and stannous flouride should be dumped into the water supply because it will strengthen your teeth, not to mention that it, and television, will work together to dull your wits and prevent you from thinking insurrectionist thoughts. So, why not swallow the academic gargle that fracking is virtually harmless, and that witch’s brew of chemicals that hydro-fracking is composed of should be ignored so that cheap gas can be forced out of the ground. Oh, and ignore that choking cloud of methane, it will clear off and gag someone else downwind. 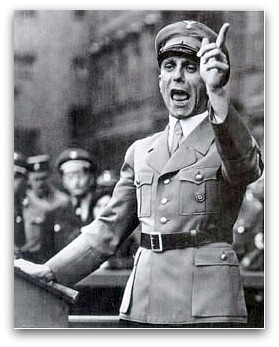 Didn’t Joseph Goebbels say something like an oft repeated lie soon is accepted as the truth? Isn’t this the process of the nazification of America? What is the name of the blog of the American Chamber of Congress? The Chamberpot? 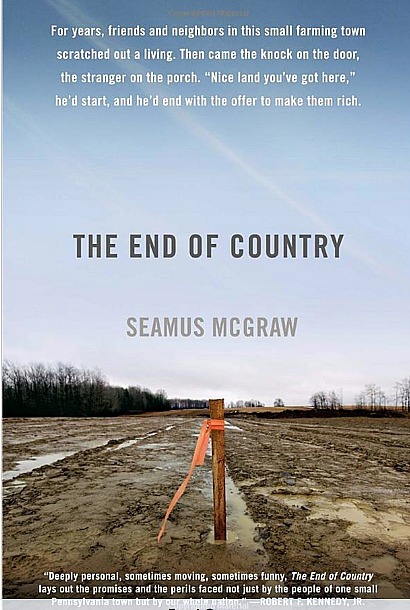 Anyway, anyone sincerely interested in an education about hydrofracking needs to read, “The End of Country” by Seamus McGraw. He grew up in northern PA, and writes about the arrival of fracking in his neck of the woods … before, during … how will it end? He’s a truly great writer, and tells the whole story. 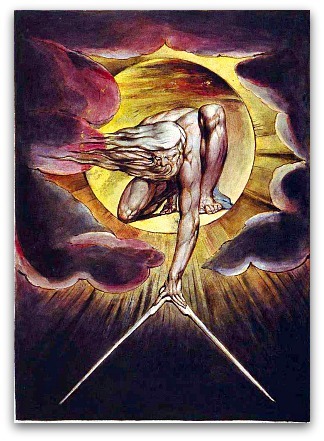 He tries, I would say, to remain objective—while the world of his youth comes tumbling down. Bob Dylan also had a startling line, “Even Jesus won’t forgive you for the things that you do.” That’s intense. What could be more unforgivable than claiming eminent domain to destroy regional aquifers, while also devastating traditional American farming country, and the lying through the teeth about the terrible price we will pay for this abuse of our planet?